The brand new Range Rover Velar was launched in style in front of a capacity audience at London’s Design Museum. 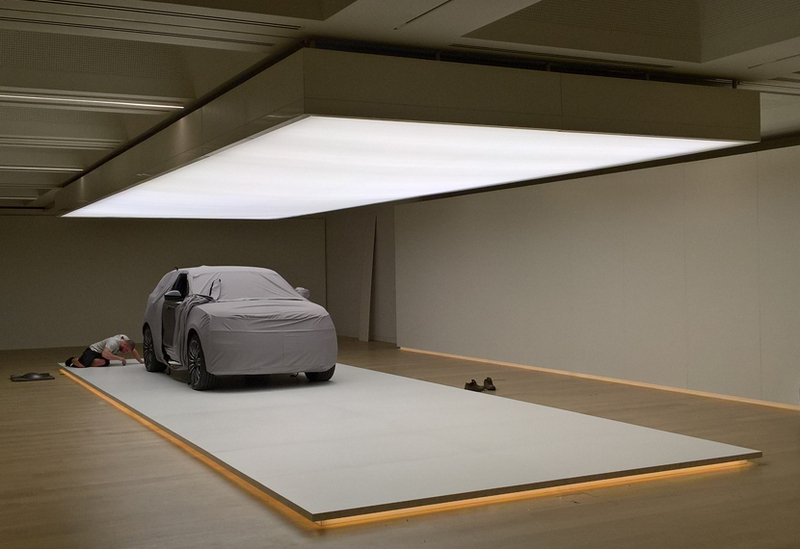 We created a large, rectangular floating plinth and suspended lightbox for the Huth Gallery part of the event, providing a sleek backdrop for this innovative new car. With a lead time of just three weeks, we manufactured the 12.5m by 4m plinth from MDF and ply, complete with over-hang to accommodate and conceal the white LED lighting that created the floating effect. 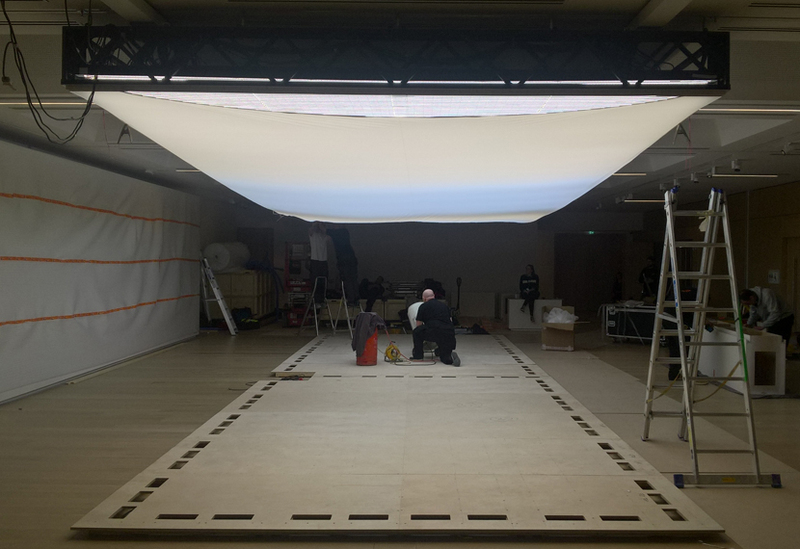 The plinth was covered with a high-quality laminate flooring. 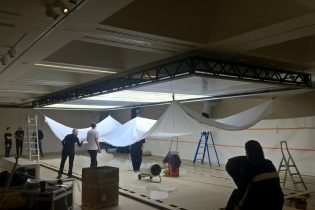 In order to suspend the lightbox, fifteen extra track points were added to the gallery ceiling. 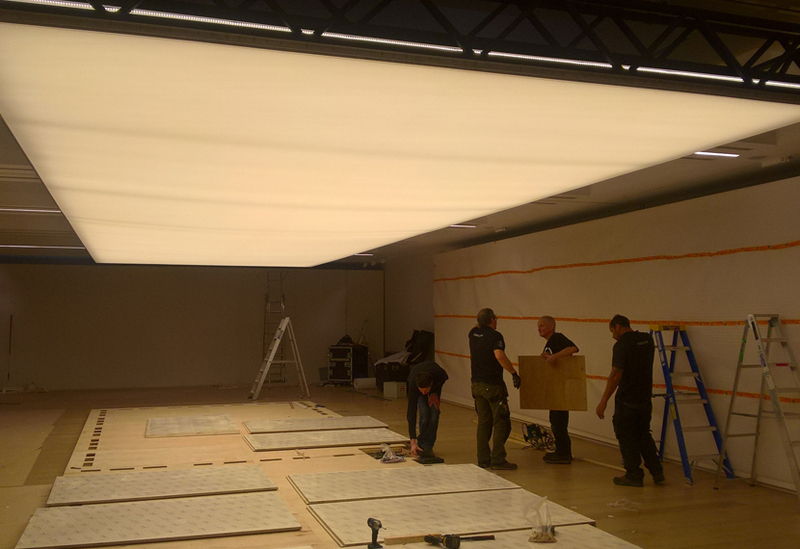 The lightbox comprised a custom truss grid with fascia onto which a 50 square metre single-span stretch ceiling was fitted by a specialist contractor. 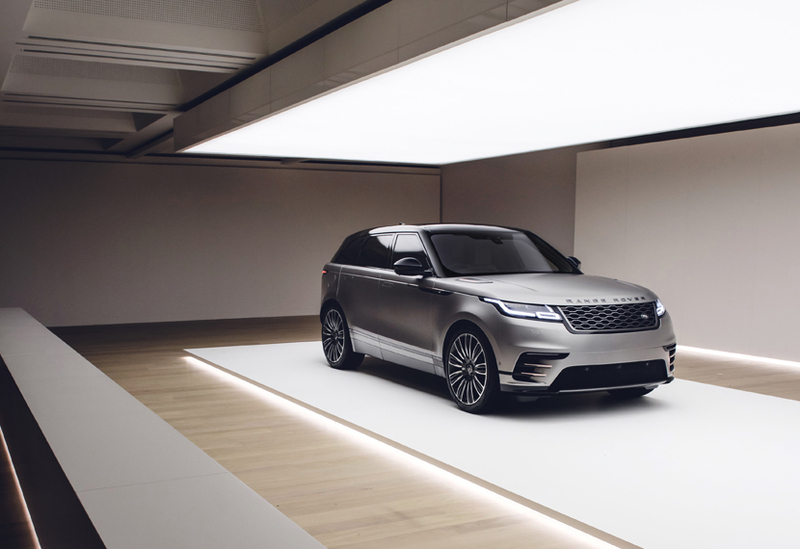 Inside, a kilometre of tunable LEDs in 240 individual strings were fitted by Blinding Light, creating a rippling effect that worked in conjunction with a specially created soundscape.